We are convinced that after 12 years on the market place, We offer our customers the best Value for Money within the House Removals and Man With a Van sectors. This statement is certainly bold as there are many competitors offering similar services for less, but what sets us apart are two simple and extremely important elements: Our team of trained experts and we do not apply any additional charges. Without our professionalism, your items are at risk, that is why we chose to educate ourselves because your belongings are just as important to us as our reputation and professionalism. Many of the providers offering a cheap solution generally do this to make up numbers and to fill in gaps within the week ahead. If they receive a more profitable job for the same time and day as yours, they may drop you at the last minute. This happens quite often, especially at the weekends. How do we know? Because we are always picking up the pieces! 1 x man and a removals van – £40.00 p/hour (min 2 hours). The driver carries and securely places your items in the van. 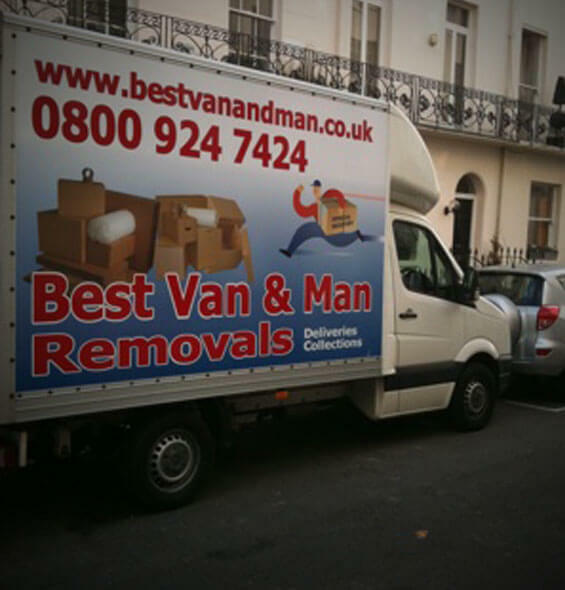 2 x men and a removals van – £55.00 p/hour (min 2 hours). The movers do all the work. 3 x men and a removals van – £70.00 p/hour ( min 3 hours ). The movers do all the work. 1 x man and a removals van – £45.00 p/hour ( min 2 hours ). The driver carries and securely places your items in the van. 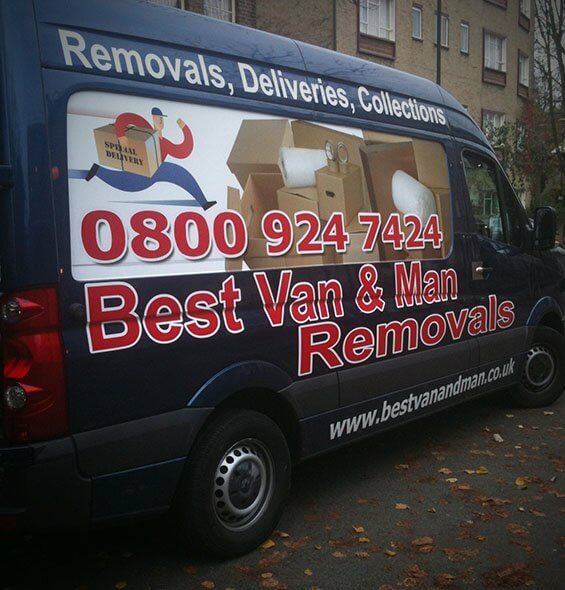 2 x men and a removals van – £60.00 p/hour ( min 2 hours ). The movers do all the work. 3 x men and a removals van – £75.00 p/hour ( min 3 hours ). The movers do all the work. * If a job runs over the minimum hire time, we charge in 30 minute increments and usually we can stay as long as needed. For some postcodes, there may be a fuel surcharge. There is a £5 per floor per mover surcharge as well as £5 per hour extra for jobs over the weekends or Bank Holidays. Please, check our Terms. If OK, WHY NOT BOOK THE BEST MAN WITH A VAN?